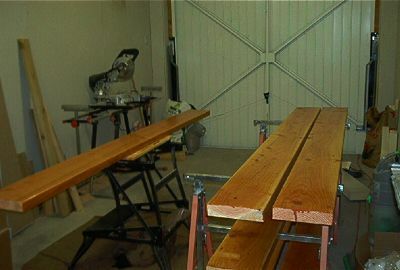 Worked on the pool coping - 8" x 2" larch planks from our local saw mill. Sanded them down, rounded the edges with a router bit and then applied 2 coats of marine deck varnish. Waiting for the varnish to dry! Meanwhile made and fitted some spacers for the coping and sealed the edge of the liner hanger. 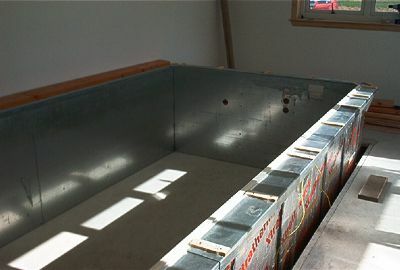 Framed the roller support at the back of the pool, fitted bonding wire to all panels and varnished the underside of the coping planks. 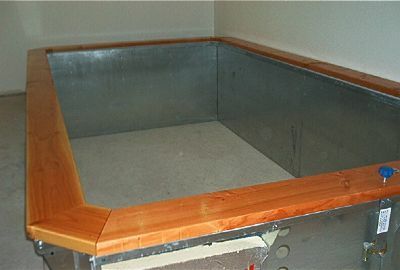 Fitted the pool coping and applied third coat of varnish 'in situ'. Also fitted front control valve and on/off switch. 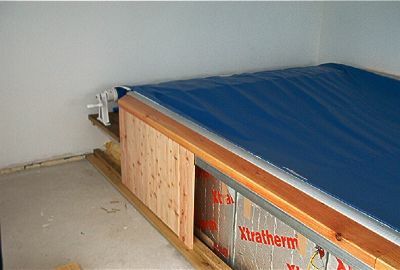 Packed 800mm of insulation between the back of the pool and the outside (north facing!) wall. 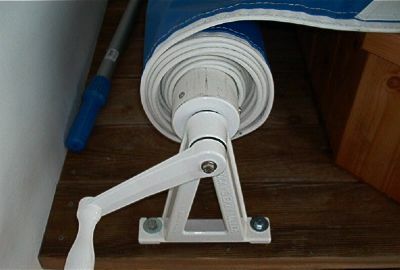 Finished the deck at the back of the pool and fitted the roller mechanism. Also applied last(?) coat of varnish to coping. Great progress! 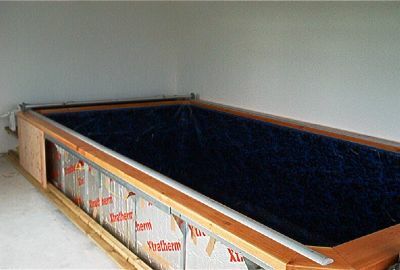 Fitted the felt mat at the base, added the pool liner and made a start on the panels around the side of the pool. Also, fitted the retractable security cover rails & cover itself. 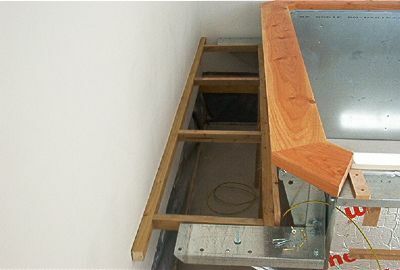 Nearly there - we just need an electrician and a builder to finish the job!! 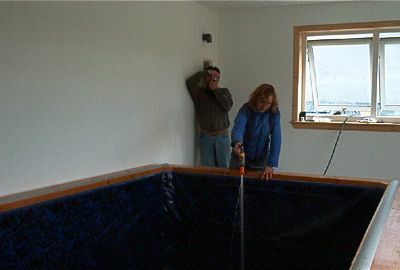 Finally, started filling the pool (just an inch to start with). Dave is taking a photo of Isla to make sure she is doing it properly!